[Jesus told this story:] "A farmer went out to plant his seed. As he scattered it across his field, some seed fell on a footpath, where it was stepped on, and the birds ate it. Other seed fell among rocks. It began to grow, but the plant soon wilted and died for lack of moisture. Other seed fell among thorns that grew up with it and choked out the tender plants. Still other seed fell on fertile soil. This seed grew and produced a crop that was a hundred times as much as had been planted!" When he had said this, he called out, "Anyone with ears to hear should listen and understand." His disciples asked him what this parable meant. He replied, "You are permitted to understand the secrets of the Kingdom of God. But I use parables to teach the others so that the Scriptures might be fulfilled: 'When they look, they won't really see. When they hear, they won't understand.'" "You know, some people really like that person's preaching, but I think the sermons have too many stories! Too many people today just want to be entertained with stories. What I like is just good ol' plain preaching!" Yes, that's something I've heard a time or two. What the person making the accusation fails to realize is that God's greatest preachers, including Jesus, made frequent use of stories and even physical illustrations in their preaching and prophecies. Can a person use too many stories? Probably not if they are used as Jesus often used them — to help the listeners gain insight and have a visual cue to help them remember the main point of his message. 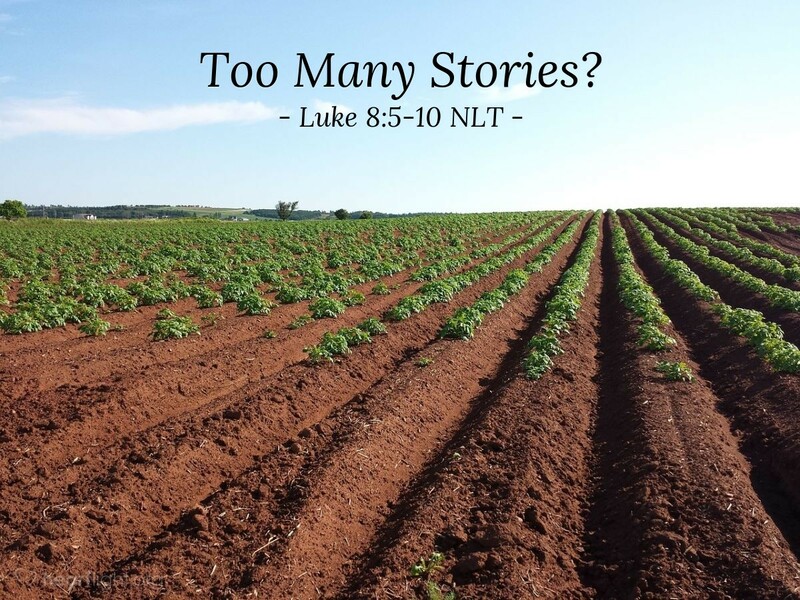 In parables, Jesus used stories to make things clear to his disciples, but make things confusing to his critics and opponents. It is true that stories can be used frivolously or to manipulate the emotions of people. On the other hand, stories can also be used powerfully to drive home important spiritual truths. They can be used to help give the listener a deeper insight into those truths by enabling that listener to grab hold of self-discovered insights into God's truth through his or her processing of the stories. At the same time, those outside the truth-seeking audience are left in the dark about the message, taking away much of their power for criticism. Father, thank you for the power of stories to illustrate your truth and to help me remember that truth more easily. Especially, dear Father, thank you for giving me the Bible to tell me about your love for all people and your plan to send Jesus. I know the Bible has all sorts of different kinds of stories that tell of your work in the world and your love for your children. Bless me as I take time each day to open my heart to those stories. In Jesus' name. Amen.